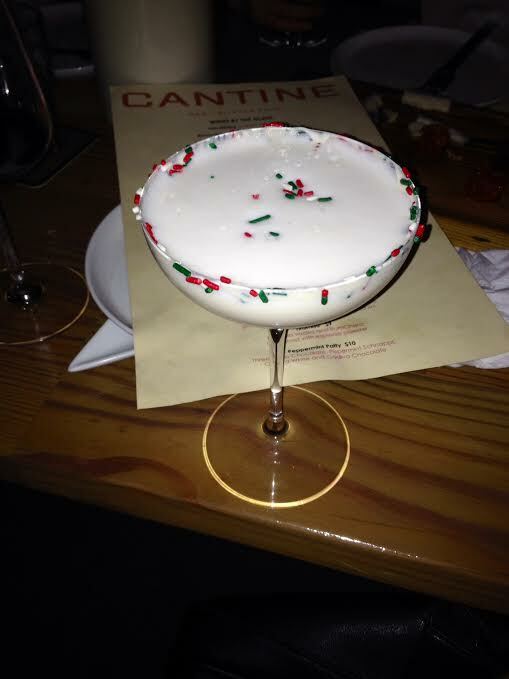 We went to Cantine Bar and Bottle Shop in Broadview Heights last weekend and one of our friends ordered this fun drink! I know Christmas is over and the red and green sprinkles won’t work anymore, but if you are having a New Year’s Eve get together, this is a perfect drink idea and then you can just switch the sprinkle colors to blue and/or silver for a winter theme. I am not exactly sure what was in this drink, but you can pretty much top any martini with some ma range or a thin layer of cool whip and add the sprinkles. This will taste great and maybe if you have a couple of them, it will ease your back pain if yours is still hurting like mine from sitting on the floor to wrap presents the last few weeks. Cheers!